In the next three posts I’m going to give you my recommendation for the best crunch, overdrive and distortion pedals for Beginners (see my earlier post on the different types of distortion if you haven’t already). If you’re just starting out guitar and you want to start experimenting with the various flavours of distortion and overdrive these pedals are a good place to start. They’re not too expensive. You can probably pick up all three second hand on eBay for £100. They’re durable. I’ve had mine for between 10 and 15 years. They do a good ‘standard’ version of each of the main varieties of distortion. 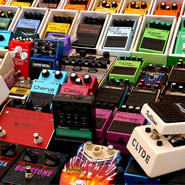 I have personal experience with these pedals in numerous gigs and shows, so I know them well. There are hundreds of other pedals out there on the market. There may be ‘better’ pedals (although that’s a subjective term depending on the sound you’re after). However, if you’re on a budget these three will give you each of the basic sounds. From there you can decide what your personal preferences are and invest in high-end gear when you can. Another thing these pedals do very well is compensate for poor overdrive found on many beginner amps. 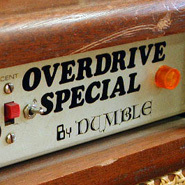 Cheaper amps often have pretty rubbish built in overdrive. With these pedals you can set your amp to a clean sound and use the pedal to provide the distortion. This will often result in a better sound. Personally I’m a big fan of the getting an amp with a good clean sound and using pedals to provide the drive and distortion. I like the flexibility it gives me. It allows me to have various different types of sound rather than just whatever is built in to the amp. This gives me a lot of versatility. It’s especially useful in sessions and when playing musicals. In these types of gig I might have to swap between very different musical styles from one song to the next. The pedals let me do this. I also like that I can chain them together and switch on two (or even three) at a time, giving me even more possibilities. If I wanted a really authentic blues or rock sound I might dig out an appropriate amp where I could dial in the right tone. But where flexibility is the priority a good clean sound and a versatile pedal board is definitely my preference. All the pedals I’m going to recommend are made by Boss. 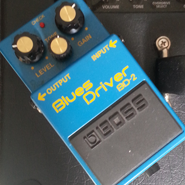 I’m not particularly trying to endorse Boss as a brand, but they do provide rugged, mid-priced, generic effects. If I need an effect and I’m not too worried about the nuances of high-end quality I will happily reach for a Boss pedal knowing it will do the job. I still own each of the pedals I’m going to recommend here and I often find at least one or two of them on my pedal board for various sessions and shows. A puritan might point out that these pedals are not True Bypass. However, I’d refer them to this video explaining why True Bypass is not necessarily a good thing. Also I would strongly encourage all beginners not to get bogged down in the boutique / high-end / vintage / custom shop / special edition nonsense that flies around in the guitar world, particularly on forums. Concentrate on learning how to play and learning how to get different sounds out of the instrument you have. If the time comes that you can afford expensive gear and you choose to spend your money on it that’s great. But until then don’t let anyone else tell you that you need it in order to play well. You don’t. If you’ve got a guitar you can make music. Everything else is just an add-on. Don’t let it stop you from playing, performing and creating. I’ll post up the first recommendation in the next few days. Until then, I’d be interested to know if you can guess what they’re going to be. Post your ideas in the comments below. 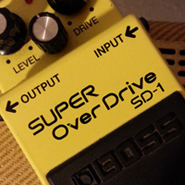 Remember, 3 pedals, all by Boss, one for each of Crunch, Overdrive and Distortion. One out of three Kynon (and the logically minded of you should be able to figure out which that is). The paper just came up on a search of royalty free images for ‘News’!